If you haven't renewed your LAS membership yet, it's the perfect time to do so! You should have had a membership form in the post back in November, but if not you can download one on our Membership and Exhibition Forms page - please note, this will be updated in the New Year to include the new option of payment via bank transfer (an option already on the forms that were sent through the post). Don't forget that our 2016 programme begins on Thursday 4th February, and we start with a talk from sculptor Matt Smart. After Matt, we have a very exciting year ahead of us, with talks, demos, our two annual exhibitions, new developments on mini exhibitions (stay tuned!) 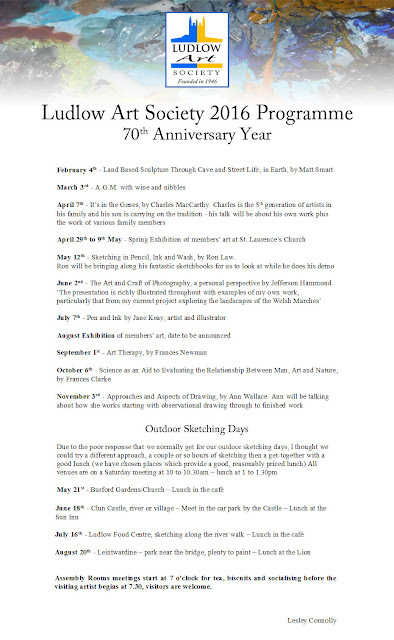 and of course we'll be heavily involved with the visual arts in the Ludlow Fringe over the summer. A very happy New Year to you all, and we'll see you in 2016! We're very pleased to welcome Sam Bebb on the Committee. From our 2016 AGM, Ruth Tune will be resigning as Membership Secretary but will taking on a new role going through our archives. We are also very happy to announce that, in recognition of the extraordinary service she has given to the Art Society, Ruth has been offered and has accepted the position of Vice President. Congratulations, Ruth! From the AGM, Tom Crowe will be resigning as Treasurer and will become the new Membership Secretary. Also from the AGM, we warmly welcome John Jarvis, who joins us as our new Treasurer. Ahead of the 2016 Ludlow Fringe Festival, we're putting out a call for anyone who is skilled in the art of origami, especially if you'd be interested in running some kind of workshop on it over the summer. This month, Spotlight takes a look at the modern interpretation of Santa Claus and how he's been depicted in art. If you go back a long way you may find some origins in the legends of the Krampus, but for now we're just going to focus on the red-jacketed present-giving chap we knew growing up. The artist most commonly credited with popularising the common look was Chicago-based Haddon Sundblom (but this may be an over-inflated claim by Coca-Cola, as the images were part of a marketing push by them). We can start by taking a look at what he did via THIS link. There's more from Sundblom HERE and HERE (both links on the fabulous Lines and Colours blog) as well as on a page dedicated to Coca-Cola art, HERE. But, did anyone define the look before Sundblom, or was it really his creation? Well, it turns out that JC Leyendecker, who we've featured before on Spotlight (at the end of August 2013 - here's the post if you want to take another look) worked with the traditional image earlier. If you follow THIS link, you'll see, at the top, a depiction by Leyendecker from 1923, while Sundblom's earliest was 1925 (and Sundblom did claim to have been inspired by Leyendecker). But of course, there were some others. A version by NC Wyeth from 1925 can be found HERE, and a small collection of works (including a mid-1800s version of what clearly appears to be an earlier version still, different yet recognisable, from Thomas Nast) can be found HERE. 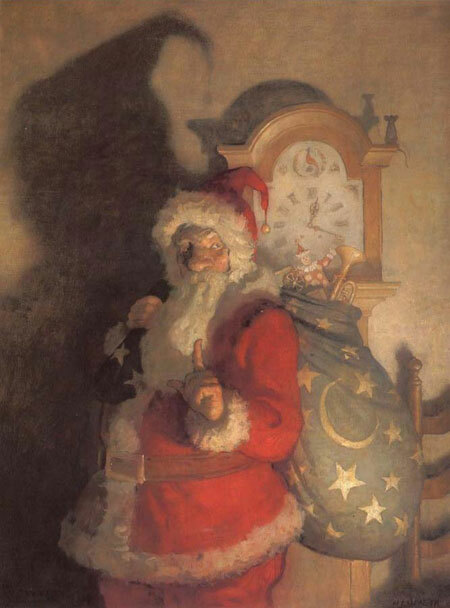 This short article also shows a link between Nast and Leyendecker, a red-suited and very modern-looking Santa Claus by Reginald Birch, and it dates to 1906. We would like to wish all LAS members a very Merry Christmas and a wonderful holiday season! 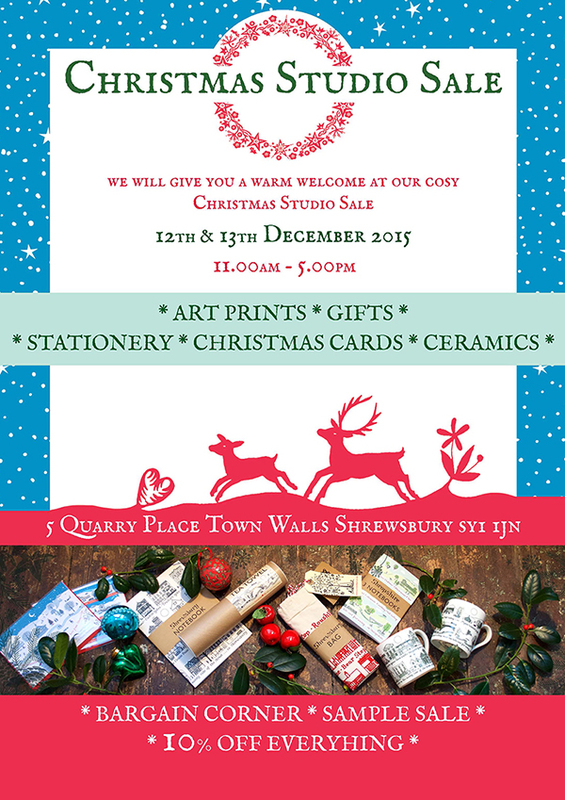 Open from 10.00 to 5.00 each day. Refreshments by the Mainstone WI. At times we will be joined by local musicians 'BouZaTina' and their guests. 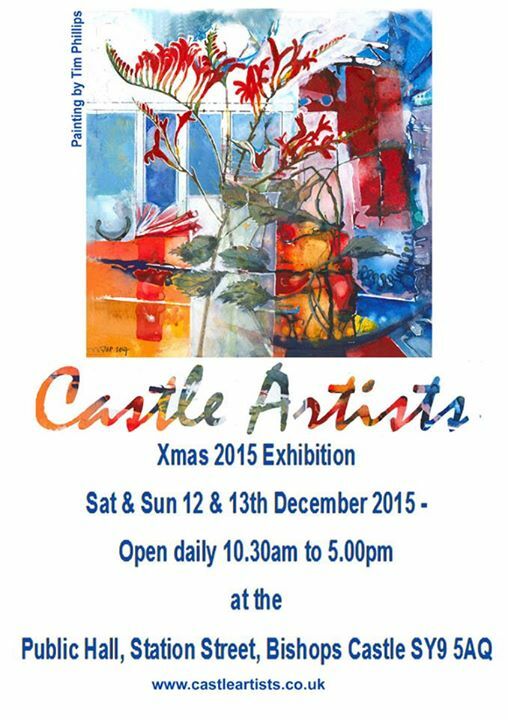 Full disabled access and Free entry and parking. In addition to Ruth Gibson's open studio weekend, Sunny Side Art (also in Shrewsbury) are holding an open studio event, too! 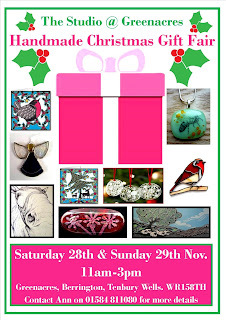 I will be showing a range of my latest screen printed ceramics as well as a large sale of my porcelain jewellery. Please note this is in my garden studio which is not so spacious but you will will receive a warm welcome and a chance to talk to the artist. 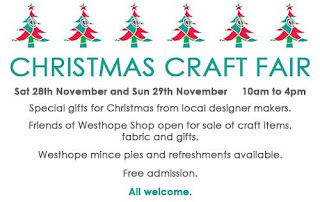 Mulled wine and mince pies to keep you warm! The Palette Project is back! The idea was to run a quick survey of LAS members’ palettes so we could see what our trends in paints are by putting forward our eight most indispensible colours, and comparing these with similar surveys done of selected master painters and readers of the art blog Gurney Journey. the results are in and have been compiled. Please note - this was originally going to be a comparison of the top 8 for each poll, but that didn’t work as some colours were tied and this resulted in some polls having 8 colours while others had more. To allow for direct comparison, it had to be either contracted to 4 or extended to 13; obviously, the extension was made to 13. Below you can see a chart of the top 13 results for each poll (please note - the colour boxes shown are only approximates given how colours vary across monitors and between paint manufacturers). Ultramarine topped all but Masters’ results (it should be noted that some of these artists were working when this paint was hard to acquire - our modern paint is synthetic, but it wasn’t always so; details of the process to create it were published in the early 19th C). 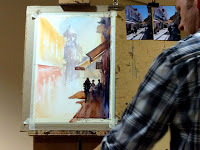 Several colours made it onto all four sets of results: Burnt Sienna, Yellow Ochre, Alizarin Crimson, Ultramarine, Raw Sienna and Cobalt Blue. Cerulean Blue was in all but the Masters’ results (worth noting - this wasn’t introduced until the 1860s). Raw Umber and Viridian were in all the results except Gurney 2. 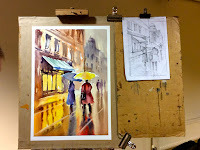 Burnt Umber was in all except the LAS results. Cadmiums Red and Yellow were in all lists except the Masters’. Cadmium Yellow only went into production around 1840, and Cadmium Red was available from around 1920. Vermilion, however, was only on the Masters’ list - a popular choice, but it ceased becoming widely available in the very early 20th century. Greens didn’t do so well since they can be so easily mixed, but a green occupies spot #13 on all results - Sap Green for Gurney 2, and Viridian for the others. It’s worth noting that Black (type unspecified here) tops the Masters and ranks 8 in Gurney 1, but doesn’t appear in the others - it is known as quite polarising, with strong opinions present on whether or not it should be used. Generally, the more neutral a palette is, the more obviously useful Black becomes (although it may well have been my #9 choice had I been allowed another). Eminently serviceable, with room to pare it down. 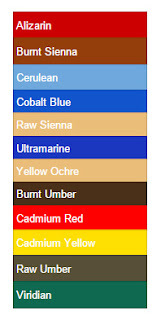 Across a range of years and approaches, these quite common colours form the core of most paintings created. Now, let’s take a closer look at the LAS results. What made it into our list, but into none of the others? 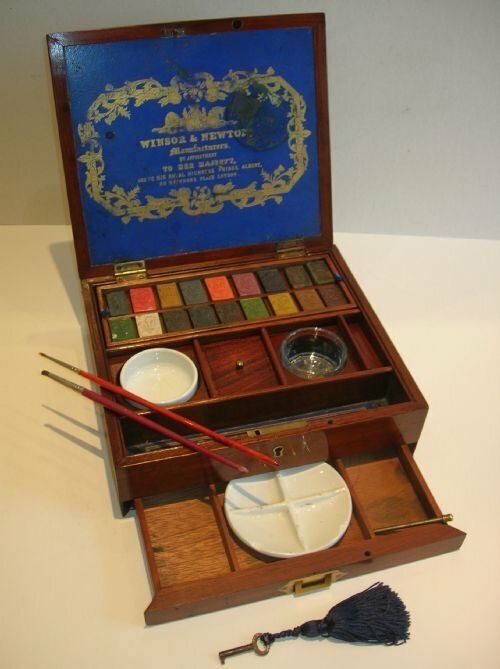 Just Prussian Blue, a colour that is largely considered to have been superseded by Phthalo Blue (but worth noting that no Phthalo colour made any of the lists). 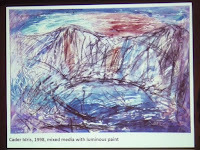 It’s worth taking a moment to read a couple of articles on the subject: Cobalt and Some Other Blues, from Stapleton Kearns, and The Accidental Colour that Changed the Course of Art, by John Griswold. Perhaps it’s a surprise that Burnt Umber scored low enough to not make it onto our list? It scored as many votes as did Magenta, and even Cobalt Violet. Following on from Burnt Umber, broadly speaking we do prefer more chromatic palettes over tonal ones - this, though, isn't really a surprise given the beautiful scenery we are surrounded by every day. There was no single colour that every LAS artist chose (if you'd have guessed it would have been Ultramarine you'd have been close, as it was the single-highest scoring colour; 75% of us use it). However, certain kinds of colours were more popular than single choices would suggest - 91.67% of respondents included a bright yellow of some variety. 41.5% of respondents chose Cadmium Yellow but Hansa Yellow, Winsor Yellow, Cadmium Yellow Pale and Cadmium Lemon also received votes. 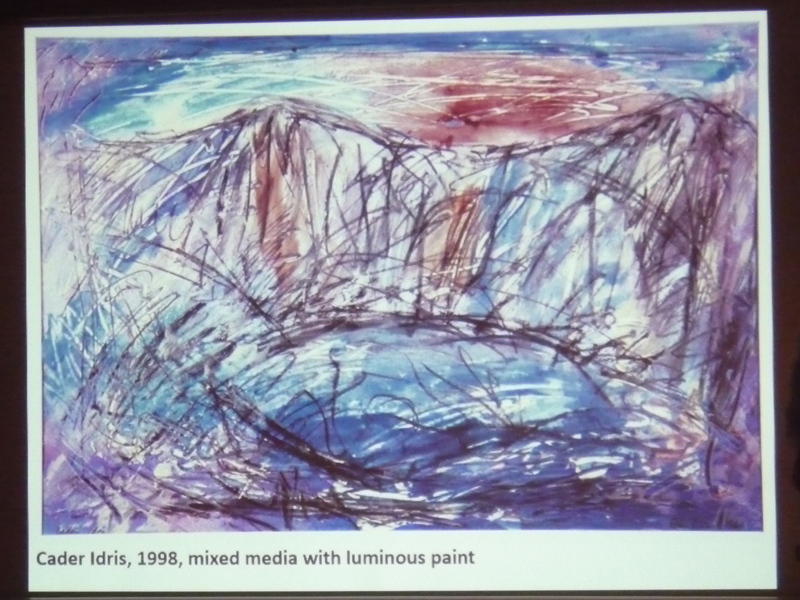 Only one artist included two bright yellows - a warm and a cool (in fact, this was the only artist whose palette was set up as a split-primary; that is, a warm and a cool for red, blue and yellow, and then finished with a couple of earths). Warm, bright reds scored higher than just the presence of Cadmium Red would suggest. While 33% of us chose Cadmium Red, Cadmium Scarlet (also called Cadmium Red Light in some brands) saw 16.7% of us select it (and yet, this shows that only half of us consider a bright, warm red to be an essential colour to have). Also scoring interestingly were Raw Sienna and Yellow Ochre - only one artist had neither, and only one artist had both. Every other respondent had one or the other. Which of the other poll results are we closest to? 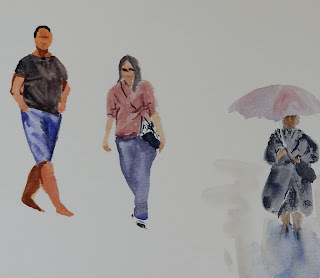 On the Masters' poll we find 69.23% of our choices - missing Prussian Blue, Cadmium Red, Cadmium Yellow and Cerulean Blue, while they have Black, Vermilion, Venetian Red and Burnt Umber. On Gurney 1 we find 84.62% of our choices there - missing Prussian Blue and Naples Yellow, while they have Burnt Umber and Black. 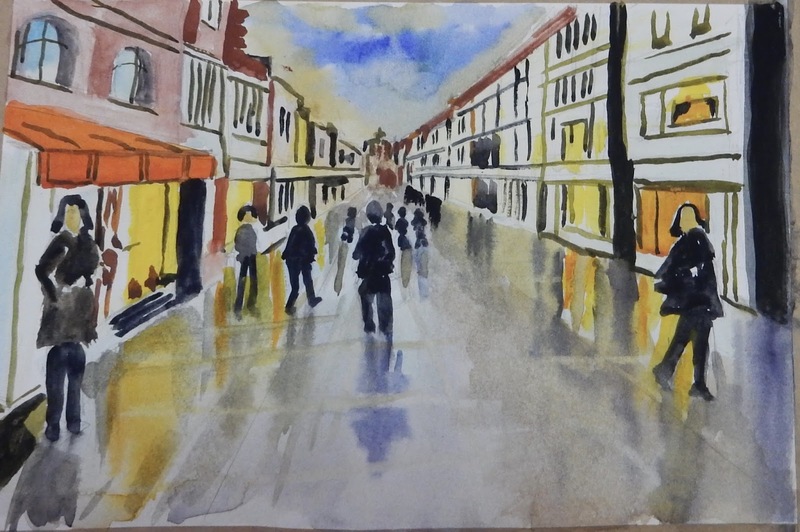 On Gurney 2 (the watercolour poll) we find 69.23% of our colour choices present - missing Raw Umber, Prussian Blue, Naples Yellow and Viridian while they have Burnt Umber, Lemon Yellow, Payne's Grey and Sap Green. Though compared with the Gurney blog readers’ polls our sample size is small, we show distinct preferences. 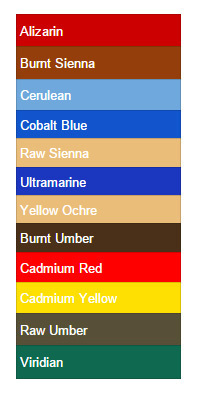 In fact, our top seven colours make quite a perfectly serviceable palette! Indeed, a surprising variety in colour-mixing can be found in the top four. Swapping colours is always interesting. 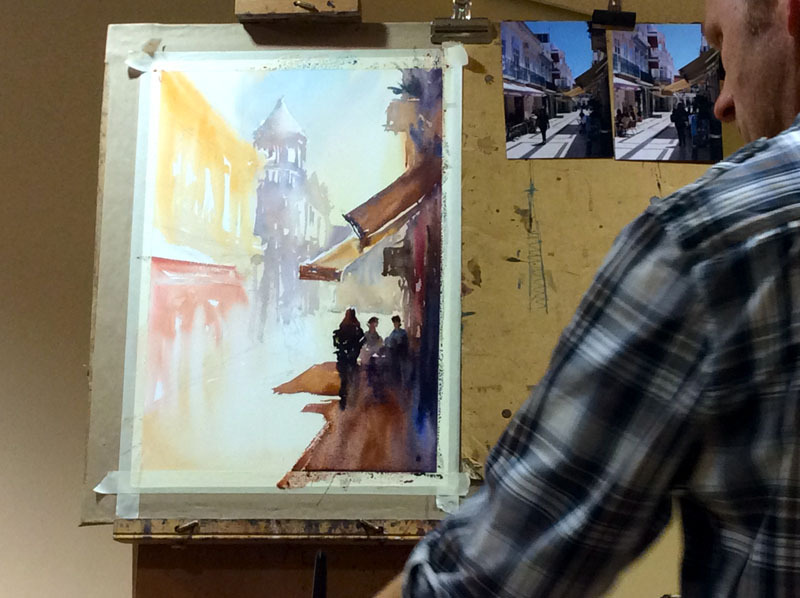 If you use Yellow Ochre or Raw Sienna, why not swap it for the other? If you use one particular bright yellow, why not use another next time? How about replacing Cadmium Red with Cadmium Scarlet - does that change your approach at all? If you replace one Umber with another, or change your green, how does it affect the way you think about your mixing? Does it make things easier, harder, or just different? So, there we have it - our current palette habits, laid out plainly. Thank you to everybody who took part, and hopefully this has been interesting comparing our specific group of artists with those elsewhere, and also with those who have come before us. If you know of any great art websites or articles, why not share them here? Send your suggestions to samsketches@yahoo.co.uk - please note that this isn't for self-promotion. 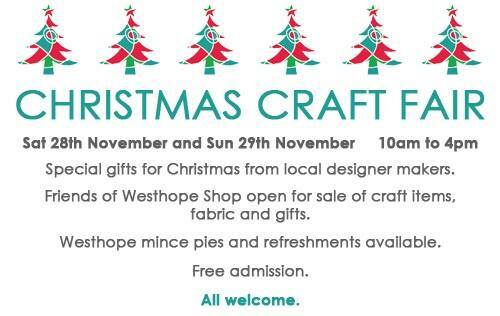 Apologies that this is a little late, as it began yesterday (I only spotted it just now! ), but it's also on today. 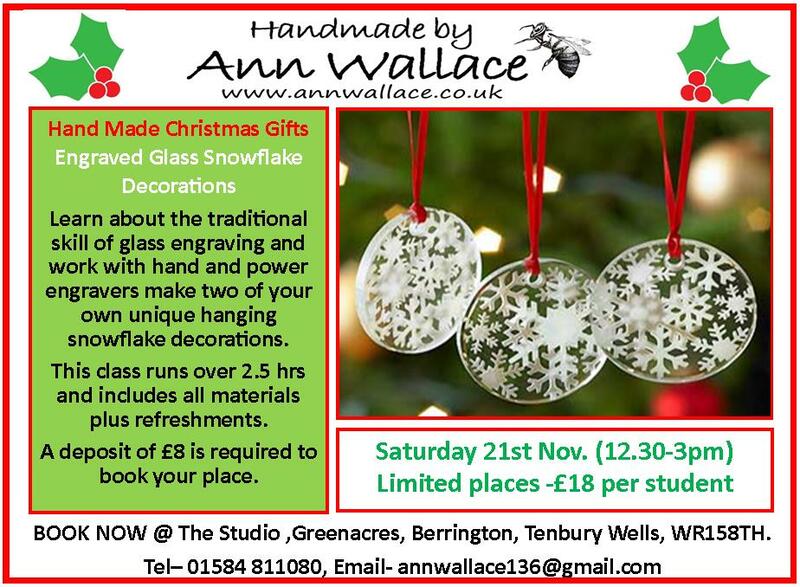 At Greenacres, at the end of November, there's a two-day gift fair being run by LAS member Ann Wallace (you may recall that, back on 30th September, we posted a call-out for artists interested in selling work here). 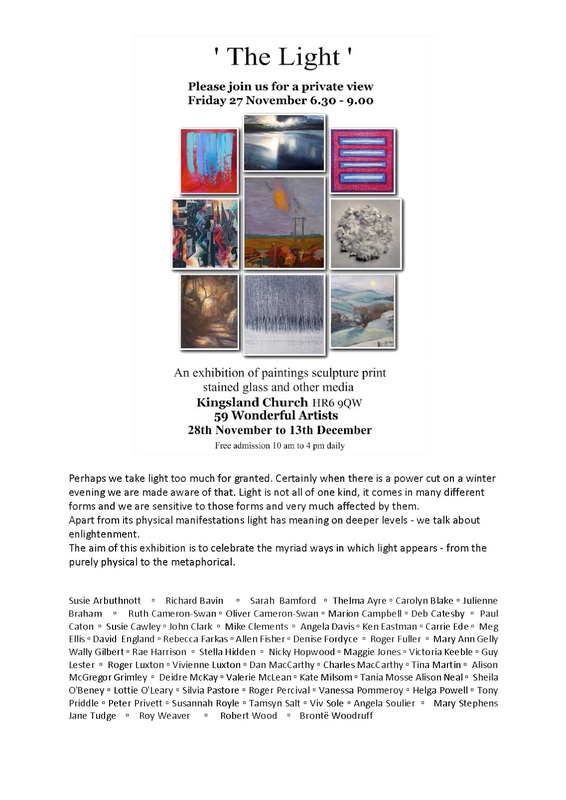 There will be work from 12 UK-based artists, including Ann and LAS member Elizabeth Moss. If you're in the region, why not go take a look? 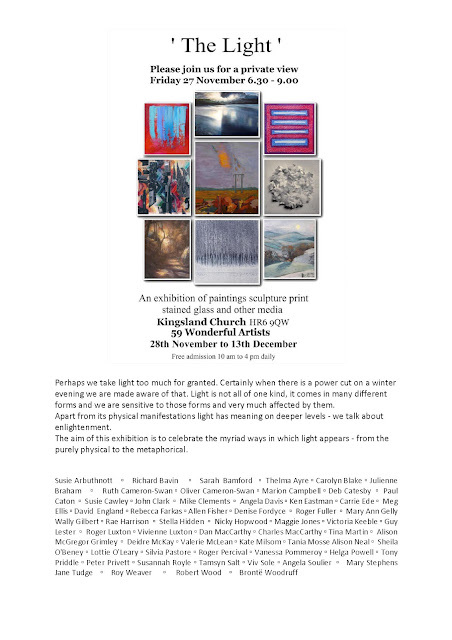 The Light is an exhibition of the works of 59 artists, including LAS President Charles MacCarthy, and it's taking place from 6.30pm to 9pm on 27th November at Kingsland Church HR6 9QW. 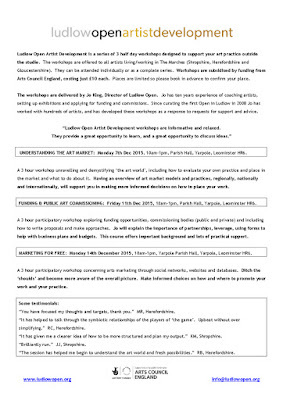 Ludlow Open Artist Development has three workshops lined up for December, all taking place in Yarpole, Leominster and each one costing only £10. 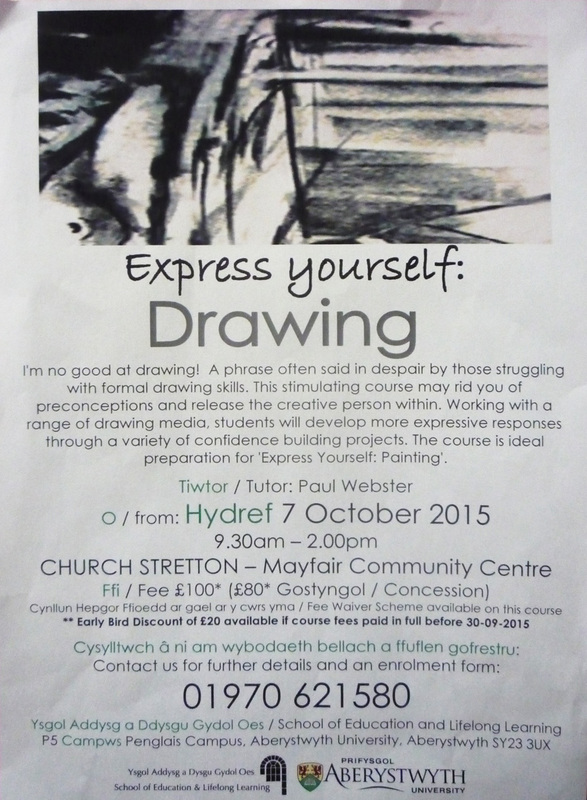 The workshops are subsidised by funding from Arts Council England. The events are organised and run by Jo King, who you may recall opened our 2014 Summer Exhibition. 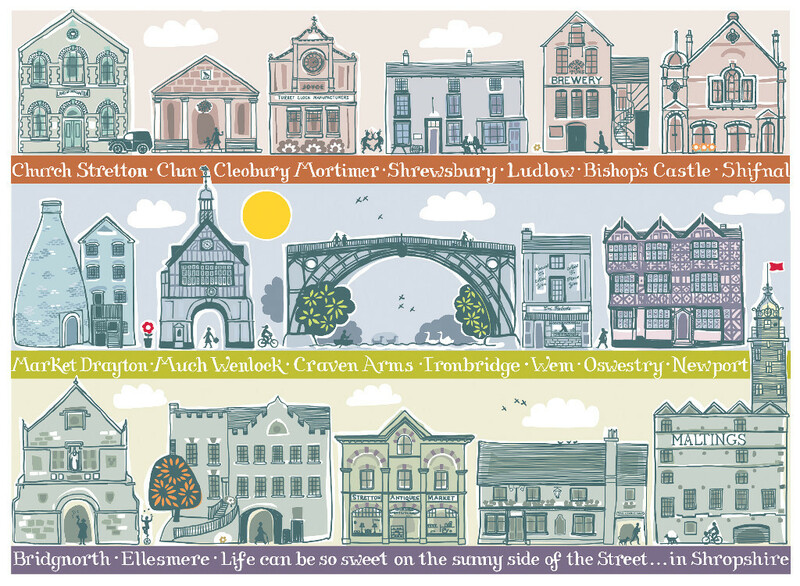 On the 28th and 29th of November, the Cleobury Mortimer Festival of Art is running - and it's looking for art entries! 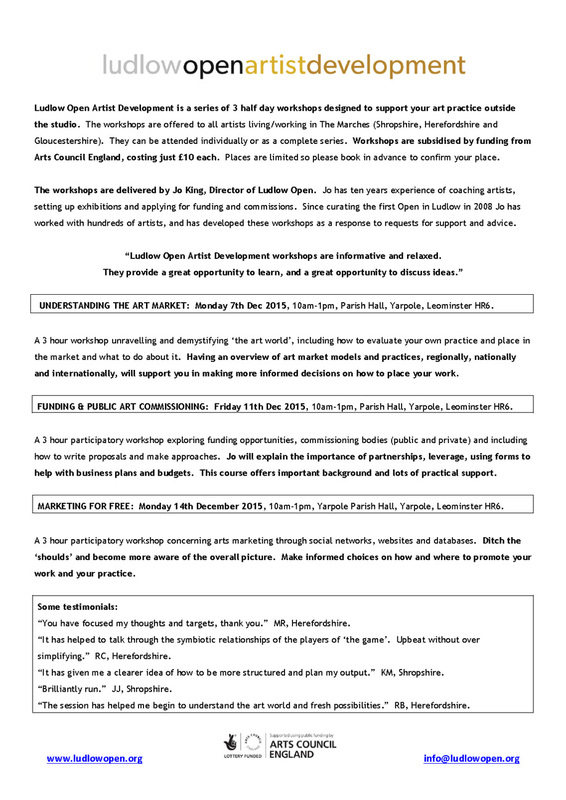 You can enter up to 8 pieces of work at £1 per piece, and there's 20% commission taken. You can find all the details, along with the entry form and all contact details, in the Festival's document right HERE. 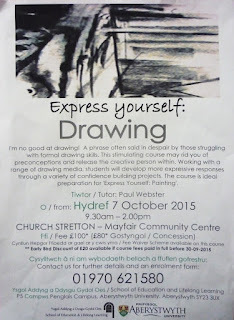 6th November 2015 - Paul Weaver’s watercolour workshop at Little Hereford Village Hall. After a stunning demo at the Ludlow Art Society’s evening meeting 5th November, eight participants met to take part in Paul’s watercolour workshop. 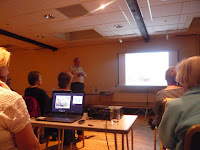 LAS member Margaret Booker had recommended Paul for both events and what an excellent suggestion it was. At £25.00 for the day we more than got our moneys worth! 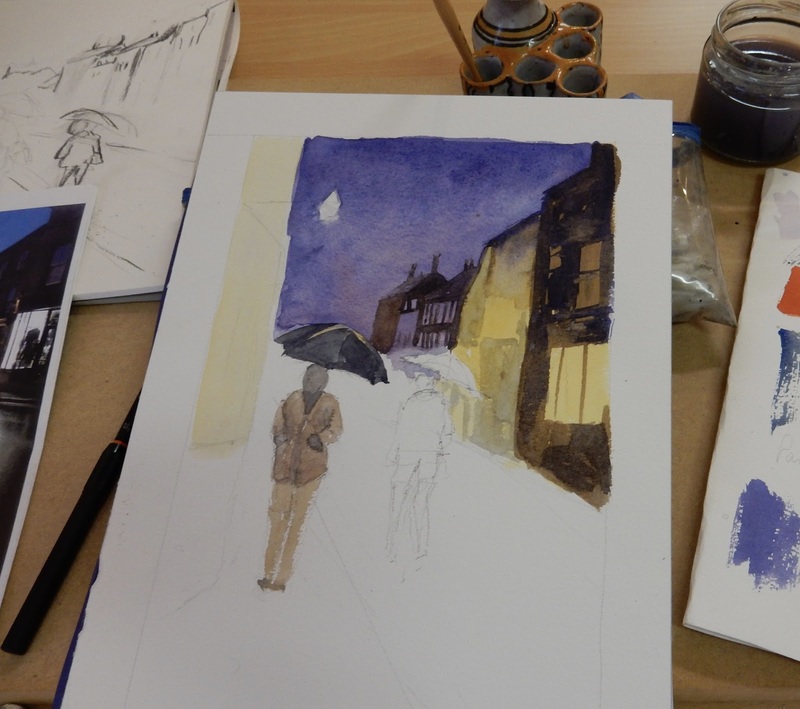 Paul started us off with technical tips on applying watercolour to obtain different effects and to give a variety of marks to suggest three dimensional objects. 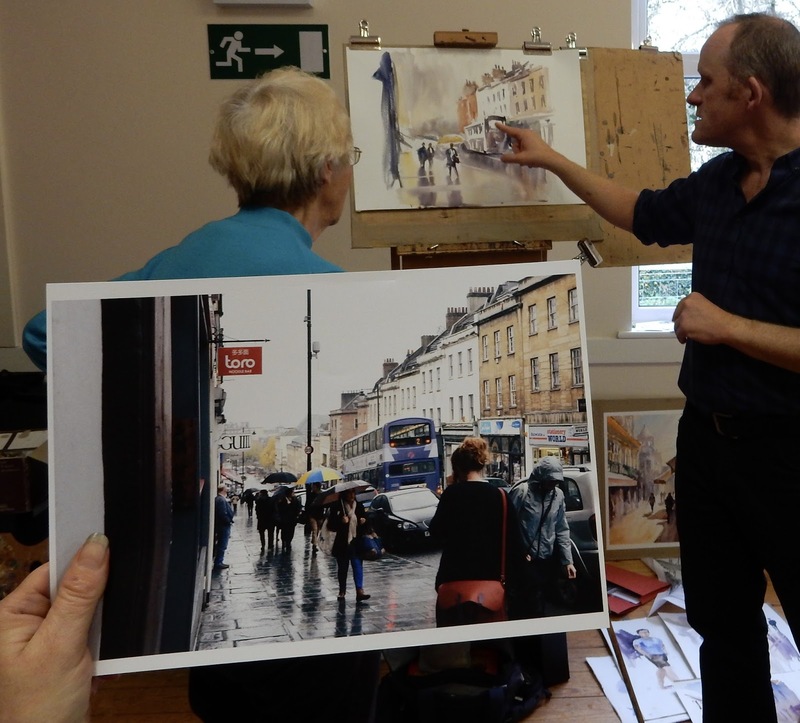 He provided a selection of photographs of figures, and we concentrated on painting these quickly, applying paint in these various ways whilst getting a sense of shape, mass and movement in the figures. 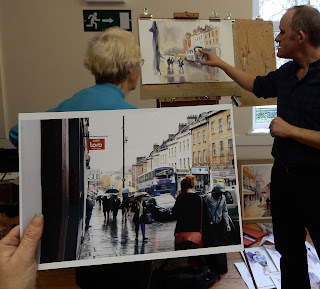 Then it was buildings in street scenes; he started with tips on cropping our own photos to obtain the best composition and then roughly sketching them out, onto rough paper, and including tone to check that the composition would work effectively. 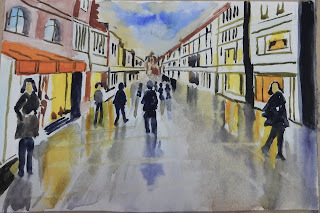 Next he thoroughly demonstrated painting both sunny and rainy scenes, including suggestions for colour mixes for various parts of buildings and also to give a sense of distance. 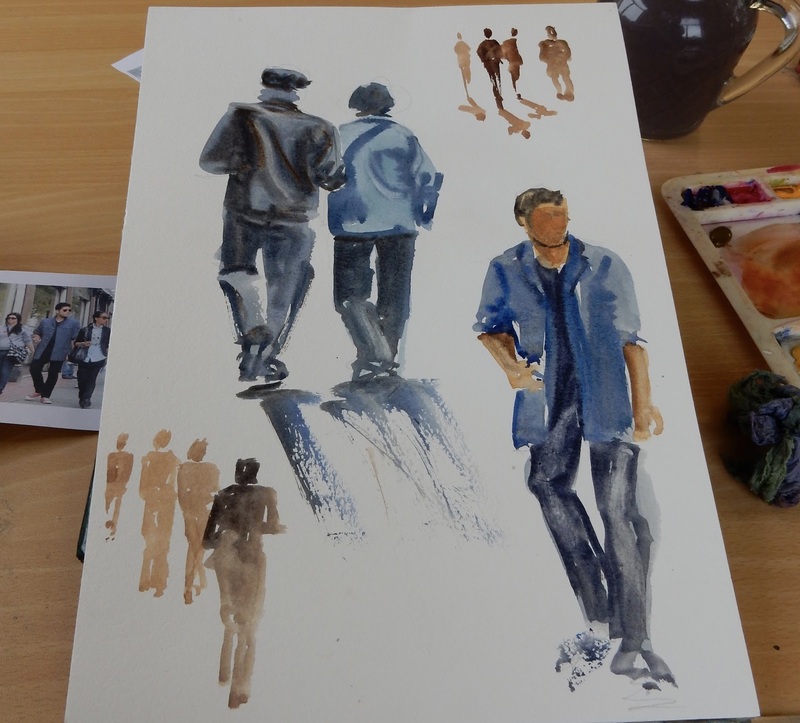 The rest of the day was spent by us drawing out our own compositions and then painting them whilst Paul continually helped, assisted and suggested ways of improving our work. It was certainly one of the most informative and useful workshops I have attended and I believe all attending were of the same opinion. Paul strongly believes in teaching his students how to solve the problems themselves, rather than just giving them something to “fill in”. Few of us managed to finish our work but here are a few photos I took during the day showing some of Paul’s demos, completed in record time, and some of our attempts. Well... that's nearly it! 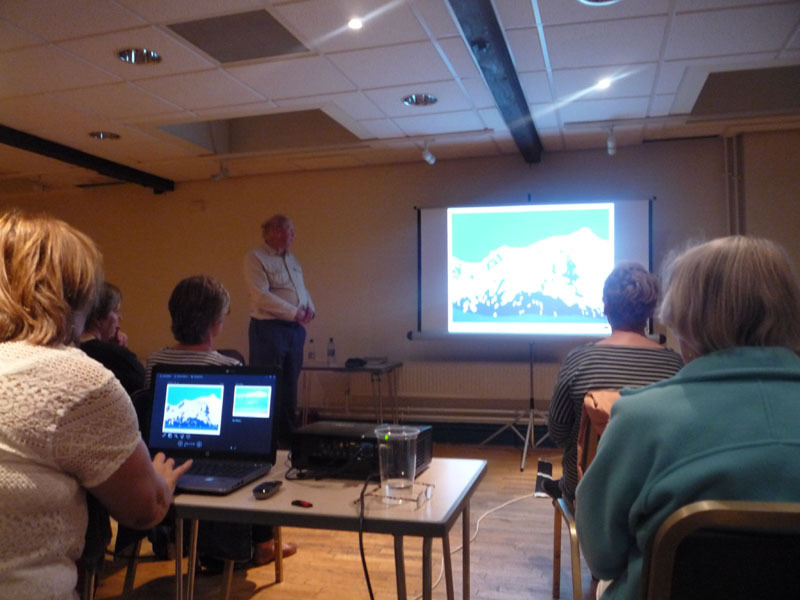 We've a report coming in from Paul's demo (courtesy of Jean Simnett), but our programme for the year is now complete. 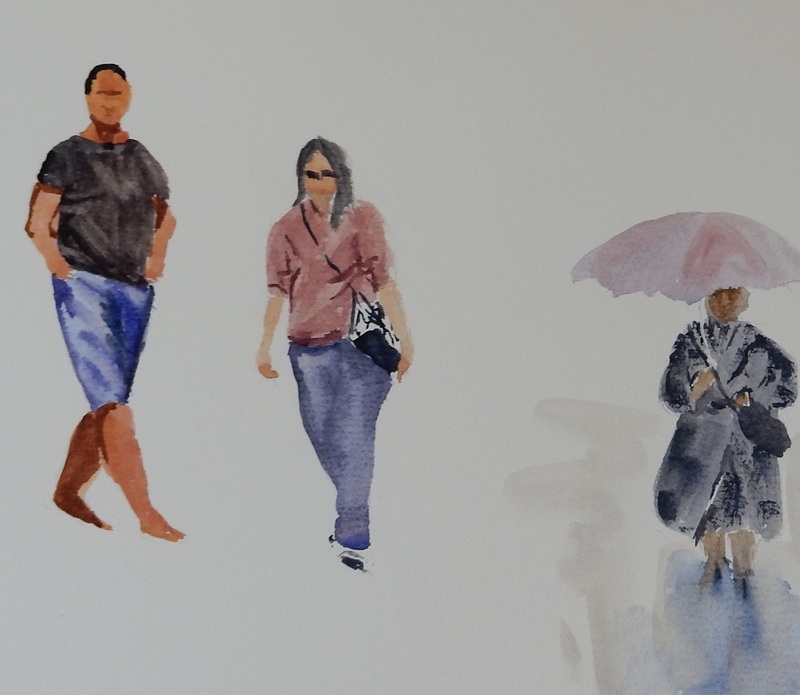 As always, this blog will keep you up to date on the artistic goings-on in and around the town (and there are still a couple of things in the pipeline fron the LAS), Spotlight will carry on every month, and the monthly round-ups will continue. Our next meeting will be on Thursday 4th February, when we have the fantastic Matt Smart giving us a talk on his approaches to sculpture. See you then! A massive thank you to Lesley Connolly for putting all this together! Linocuts, watercolours, photographs, textiles , cards etc. all at affordable prices. 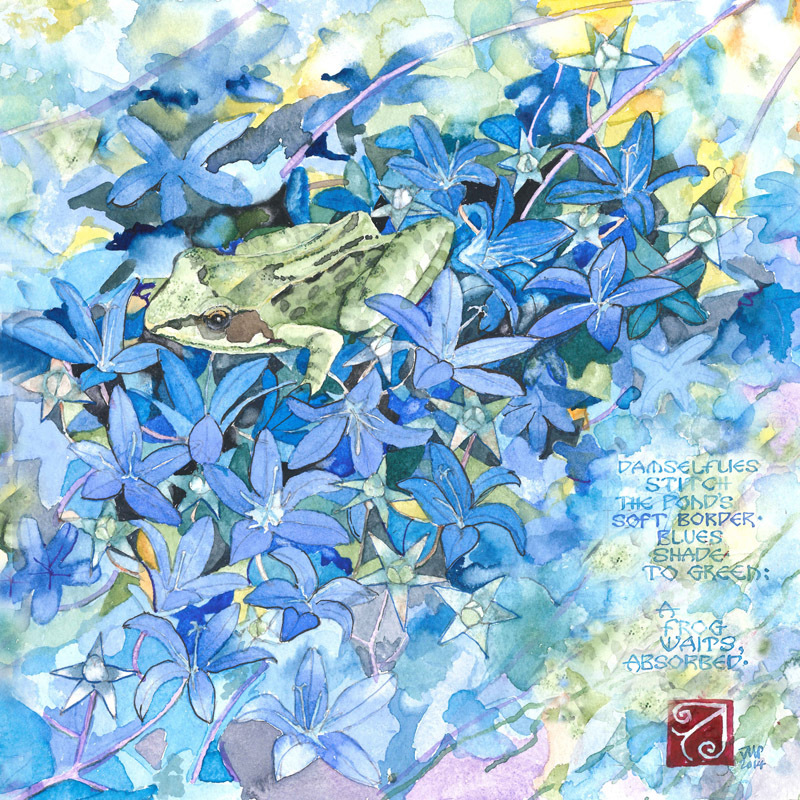 Sunny Side Art, a collaborative venture from Shrewsbury creatives Linda Edwards and Nigel Elliot, has an exhibition of work on at Wem Town Hall - the show is running from 6th November - 21st December. Spotlight was going to be taking a look at the LAS' Palette Project this month (following on from September's Spotlight), but I'm afraid I've not quite had time to finish the article for it, so that's going to be put back until next month. In the the meantime, however, October's edition is going to shine a light on the complete works of William Blake. Taken from the site, Blake is described: "once considered mad for his idiosyncratic views, Blake is highly regarded today for his expressiveness and creativity, as well as the philosophical and mystical undercurrents that reside within his work. His work has been characterized as part of the Romantic movement, or even "Pre-Romantic", for its largely having appeared in the 18th century. Reverent of the Bible but hostile to the established Church, Blake was influenced by the ideals and ambitions of the French and American revolutions, as well as by such thinkers as Jacob Boehme and Emanuel Swedenborg. Despite these known influences, the originality and singularity of Blake's work make it difficult to classify. One 19th century scholar characterised Blake as a "glorious luminary," "a man not forestalled by predecessors, nor to be classed with contemporaries, nor to be replaced by known or readily surmisable successors."" 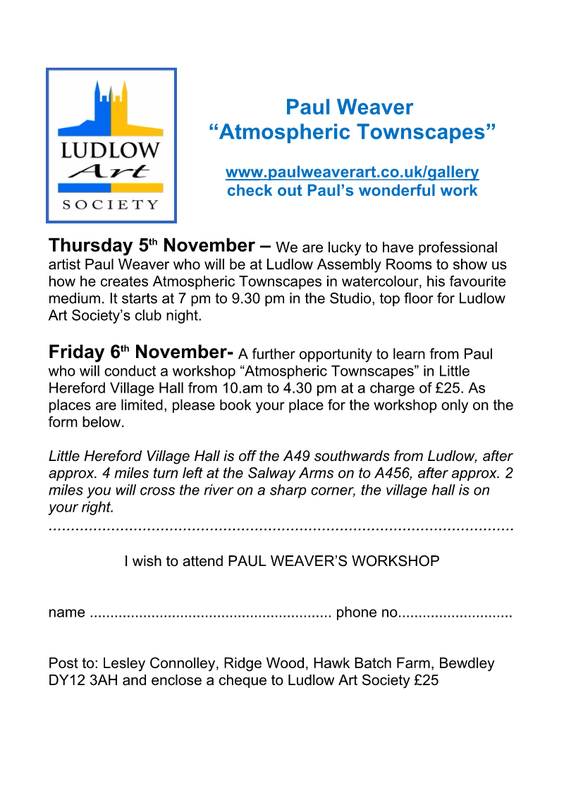 On Thursday 5th November, watercolour artist Paul Weaver is going to be giving us a talk and demo on the topic of 'Atmospheric Townscapes'. 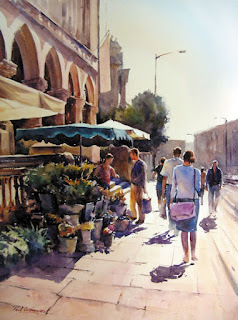 You can find Paul's online gallery HERE. The talk is at our usual time, so please arrive 7pm for 7.30pm at the Studio, Ludlow Assembly Rooms, and it's £3 for members, £4 for guests - tea, coffee and biscuits will be available. The last of 2015's Top Hat Tours is running on Thursday 12th November, and it's heading to the Arnolfini and Bristol City Museum and Art Gallery. If you're interested in going, and it does look fantastic, you can find all the details on Silk Top Hat's Top Hat Tours page HERE (you'll need to scroll to the bottom of the page). 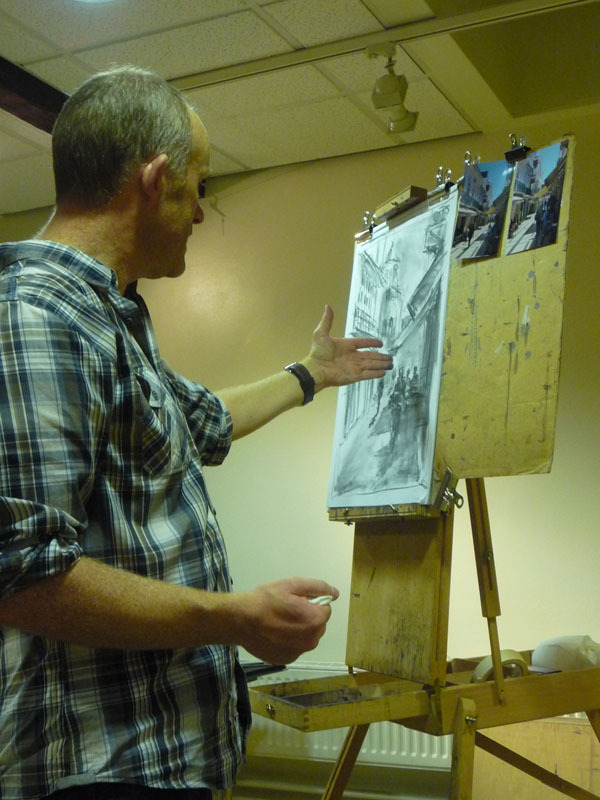 Shropshire Hills Art Week is now taking entries for 2016, when it will run from 4th - 12th June! 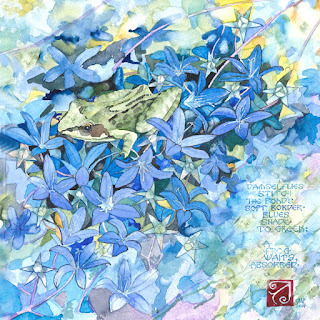 Described on their website, SHAW "showcases the diverse and talented artists who live and work in the region, and focuses on art inspired by landscape and wildlife". If you'd like to be a part of next year's event, you can find the sign-up page HERE. 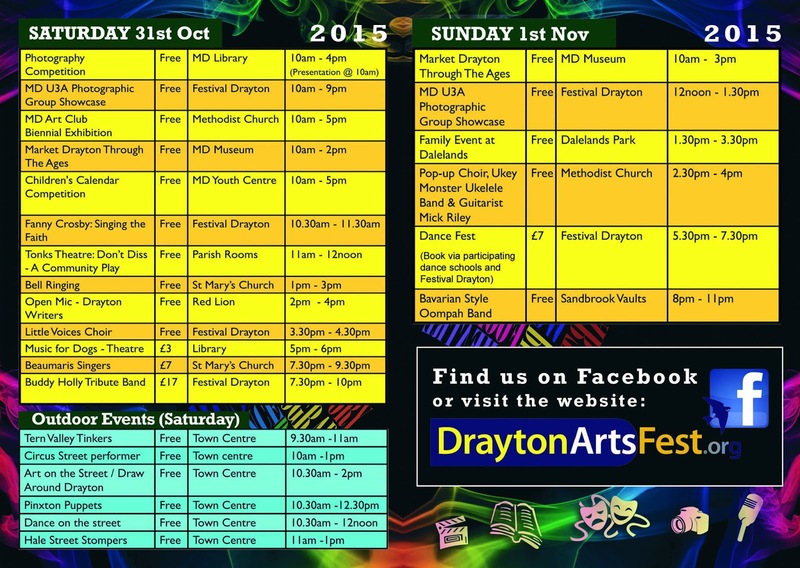 From Friday 30th October to Sunday 1st November the Drayton Arts Festival takes place across Market Drayton. 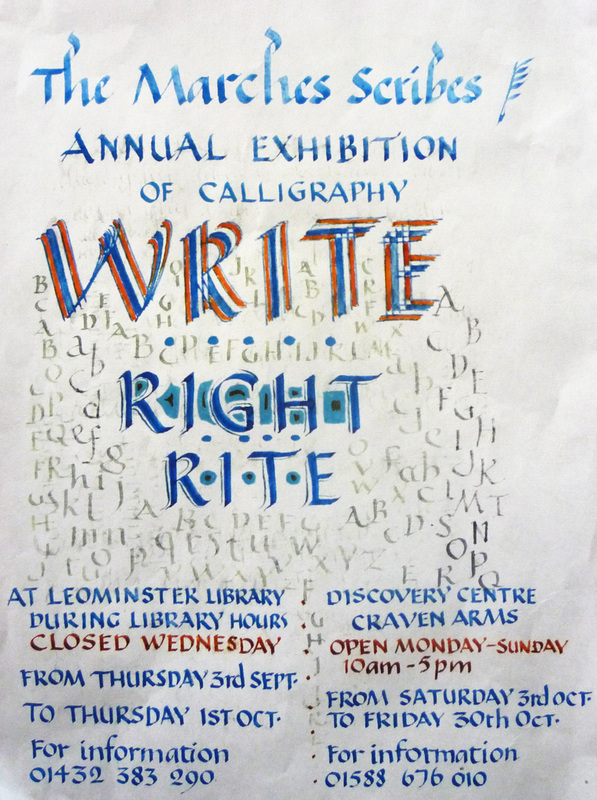 There's a lot going on, but LAS members may find particular interest in Every Child an Artist on the Friday, and Drawing Round Drayton / Art on the Streets on the Saturday. You can find all the details on the website: Drayton Arts Fest. 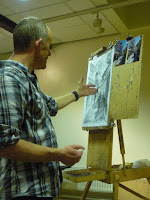 Paul Weaver, who's giving us a talk and demo on 5th November and then offering a workshop on 6th November, is featured in the current edition of The Artist magazine in an article about 'Night Scenes in Watercolour' - go take a look. Hat tip to Pat Innes for the information. Also, if you run across a Kidderminster Art Society leaflet, look closely and you'll spot KAS and LAS member George Loades in one of the photographs! We're very happy to announce that our exhibition screens are going to be used for the Young At Art exhibition coming up later this month (details HERE), and LAS Committee member Ruth Tune is lending a helping hand to hang the show. Afterwards, the screens are going to be used again, in the same location, for Christian Aid Haiti - it's fantastic to see that, after years of being used just twice per year, the screens are now able to help other local groups as well. We'll have more news on the screens, and the benefits this new arrangement brings the Art Society, soon! In addition, we can announce that, at our 2016 Spring Exhibition, there will be a card-reader so purchases can be made by credit or debit card - this is a facility granted to us by St Laurence's, and will be operated by their gift shop staff (so stewards don't have to worry about using any new technology). 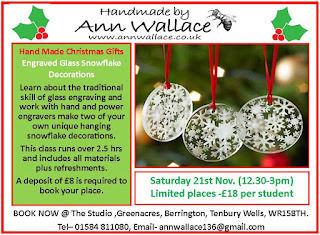 Tinsel Tuesday Market Stalls (organised by the Town Council, and running on 8th, 15th and 22nd December) are currently available for booking, and they're going quickly! Apparently, Tinsel Tuesdays can be quite profitable and gives a great opportunity for buying and selling alternative, individual and more personal Christmas gifts. If you're interested in taking a stall, you'll need to fill in the form which you can find (in .pdf format) HERE. We've taken a fresh look at the Committee page thanks to a suggestion from LAS member Miriam Bell, who said it might be a good idea for us to be a little more visible and have our portraits against our names. Well, we thought it was a good idea and so that's exactly what we've done. Hop over to see the current Committee rogues gallery! Now this is quite different from our usual LAS postings, but Mr Lyle Bignon, the PR manager for the Trail of Thomas Love, sent an email asking if this would be of interest to LAS members and we thought that, since it's local interest we would post it here as a one-off. 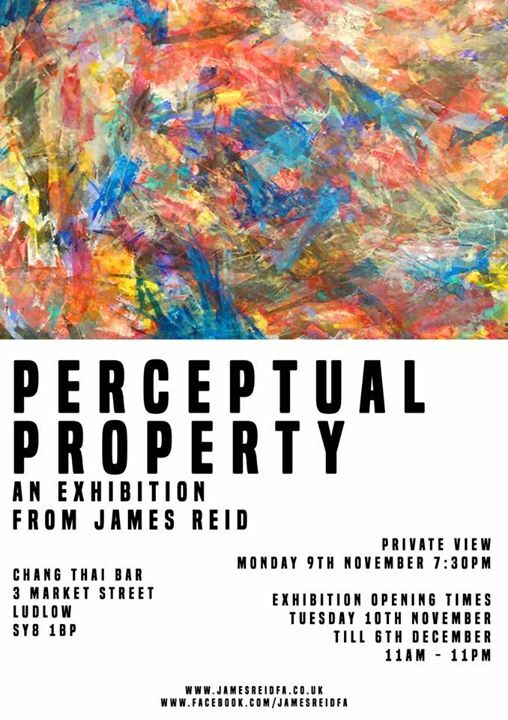 All details below! 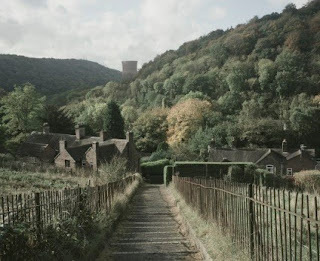 A live project mixing photography, music and storytelling based on the Severn Gorge is to receive its premiere in the historic English village of Coalbrookdale, Ironbridge on Saturday 10 October 2015. The Trail of Thomas Love, produced by Shropshire-born songwriter and photographer Nathan Tromans, is an enchanting exploration of the myths of the surrounding landscape, as well as both real and imagined characters, their journeys and homecomings. During the performance, to be held in the former industrial turned museum space of Enginuity, images drawn from the Ironbridge archives along with selections from Tromans’ own photographic collection will be projected on a six metre high screen. The artist will be joined by a five-piece band of exceptional musicians for the debut, which forms part of the programme for Shifting Worlds: a symposium exploring the impact of the Industrial Revolution on the landscape, society and art featuring a keynote speech from British artist Jeremy Deller. 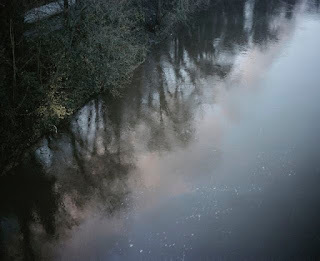 Inspired by living in the unique surroundings of the Severn Gorge, and the layers of narratives that exist in its wooded dales, Tromans has taken weekly walks developing a series of landscape photographs. These quiet and patient moments reveal the subtle observations of the relationship between those who have lived and worked in the gorge and its natural habitat, as it continues to be framed for an ever-increasing number of visitors. As a Coalbrookdale resident Tromans has traced his ancestors back to the 17th century in the Gorge. His great, great, great grandfather, Thomas Love was an Ironstone miner who mined the very stone that gave birth to the industrial revolution, and left the Gorge as the industry evolved and expanded in to the wider West Midlands area. A ‘sense of place’ runs deep into the heart of Nathan Tromans’ songwriting and photography. The Coalbrookdale resident was the voice and words behind successful indie-rock band Mustard in the late 1990s, before going on to form John the Revelator. As JTR, Tromans shared stages with musicians including Jose Gonzales, James Yorkston, Teddy Thompson, Joan as Policewoman and Mojave 3. His songs are imbued with the elemental and spiritual influences of artists who have stirred his heart over many years, from Johnny Cash, Leonard Cohen and Nick Cave to Bill Callaghan (Smog), Damien Jurado, Bonnie Prince Billy and Sufjan Stevens, keenly blended with his own personally crafted visions and expressions. “This is a wonderful opportunity for me, to bring my songs and photographs together in such a unique way. These separate practices are in many ways born of the Gorge landscape - the show has enabled me to explore the possibilities of finding some synergy between them”. The Shifting Worlds Programme, produced by Ironbridge Gorge Museum Trust, Meadow Arts and Arts Council England, features a programme of contemporary art inspired by the birthplace of industry, artists and academics that will also include contributions from David Nash, Gavin Turk, Jeremy Deller and Faye Claridge. The two-day symposium examines the role of the natural world, technology and imagination in the transformation of the landscape and society. 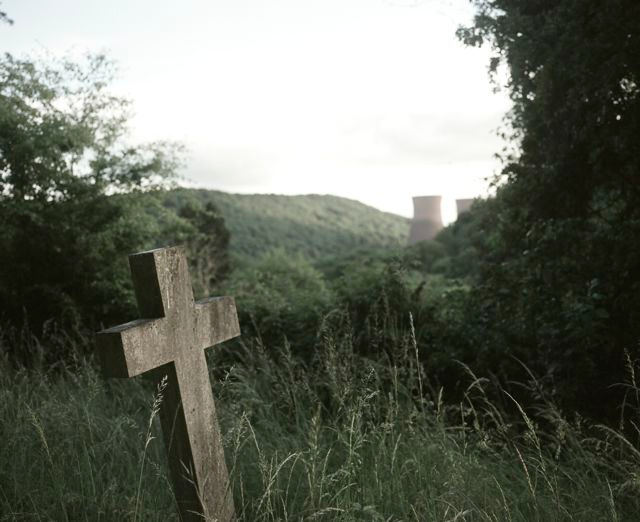 It will develop and present new and innovative ways of interpreting the industrial heritage of England. 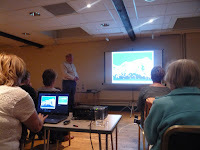 Last night's talk was slightly different, as Peter was recovering from eye surgery and so was, at the time of the talk, unable to see. 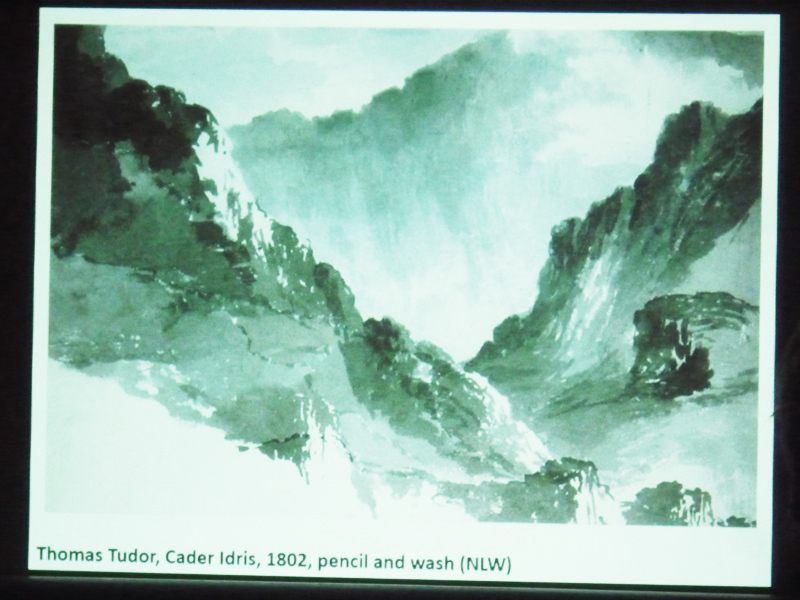 His wife Jenny operated the slideshow, and Peter narrated through his own drawing and painting works, as well as the creations of a whole host of other artists on the subject of the Snowdonian mountains, giving us a history of art and the region. Afterwards, he held a question and answer session. 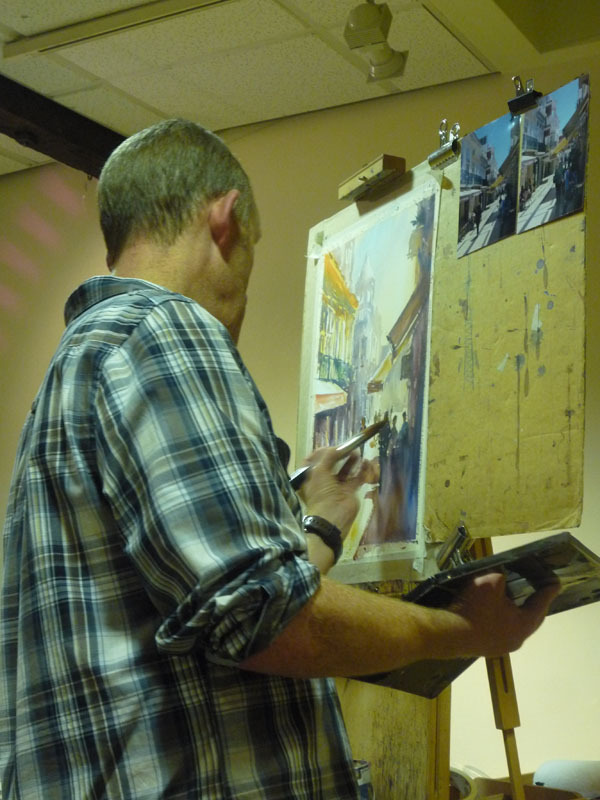 Next month, on 5th November, we have a talk from watercolour artist Paul Weaver - followed by a workshop on the 6th - both on the topic of Atmospheric Townscapes. See you there! 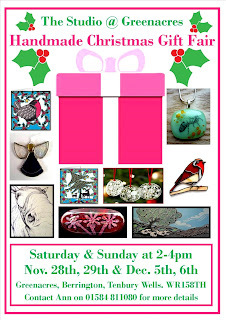 I am looking to hold a Christmas Handmade Gift Fair at my Studio selling all handmade artisan pieces over 4 days - (see draft poster, below). I have a few artists supplying me with artwork on a SOR basis with a 30% commission on all sales, but I was just wondering if you thought that any of your members would be interested in getting involved? 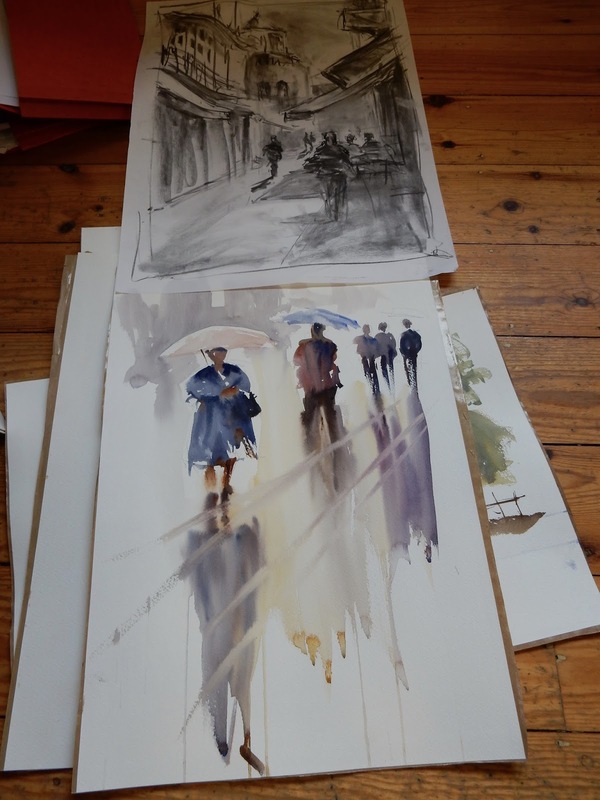 Any interested artists will need to send me images of the work they are proposing to put into the sale (or at least an example of their work- theme) as well as sizes. 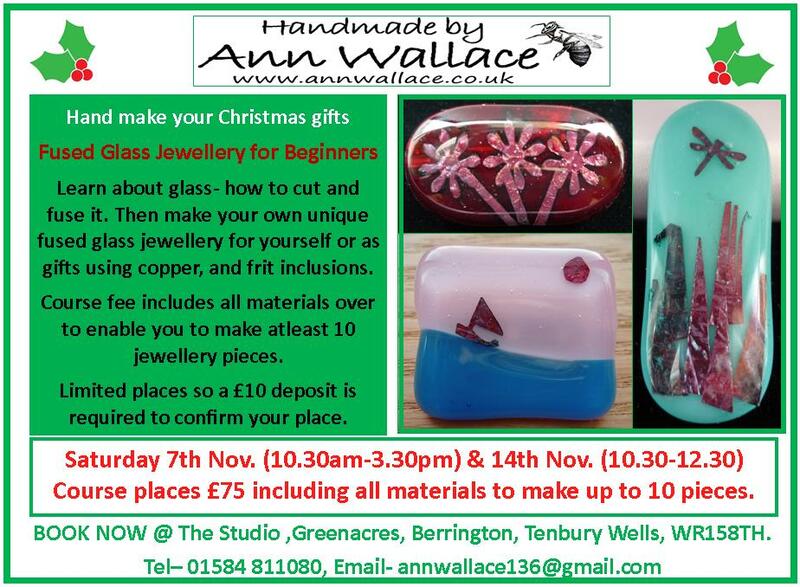 I will then be able to select a well rounded range of work for the fair. I will be doing all the PR and leafleting as well as staffing the event on all 4 days with a card machine available for larger purchases. 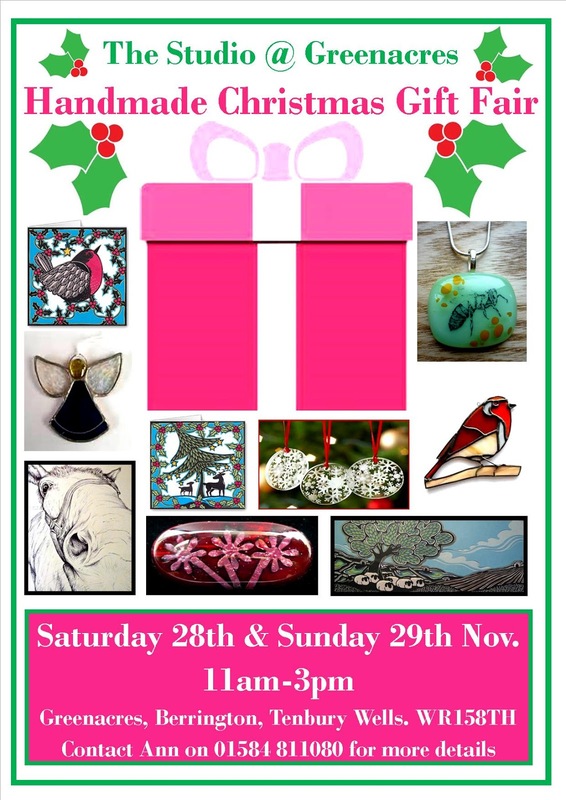 All that the artists need to do is get the work to me priced and ready to display a week before the event starts so that I can organise the displays. 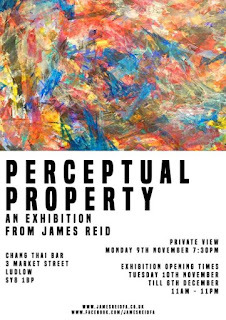 Payment for sales will be sent out by cheque after the events and any unsold work can then be collected. 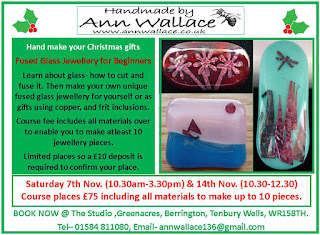 If you're interested in hand making unique Christmas gifts, then LAS member Ann Wallace's November workshops may catch your attention. "My initial goal was to compare these palettes to see which colors were most favored by artist then and now. I also hoped to explore the reasons why some of these artists used a limited palette as opposed to what I'm calling an expanded palette. I decided that a chart or graph would be the best way to explore this." The post is HERE, but when you've read it do come back, because this month there's a little more. Back? Excellent - James Gurney ran a couple of similar tests, one you'll have seen mentioned in the post above. The first results (for all paint) is HERE, and a later poll purely for watercolour has results HERE. I'm now going to turn Spotlight on us, and ask that we do something similar. 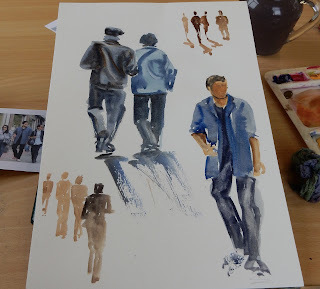 So, if you're an LAS member, drop me a line (samsketches@yahoo.co.uk) with your 8 most indispensable colours (excluding the whites, and keeping media to oil, acrylic, gouache, watercolour, casein and tempera). I'll collect these over a month, and publish the results in late October. Let's see what the composite Ludlow Art Society palette of 2015 looks like, and how it compares with the composite old masters' palette and the palettes of the readers of Gurney Journey in 2008 and 2014. From 3rd - 25th October, Newport House in Herefordshire will play host to the second edition of the sculptural show Out of Nature. Out of Nature will present about 200 pieces of outdoor sculptures in the formal gardens, around the lake and in the walled garden, as well as some indoor pieces in “the pub” and the green houses, by around 40 different artists from all over the UK as well as Germany and France.